Battle royale, battle royale, battle royale! Everybody seems to be talking about battle royale games nowadays. 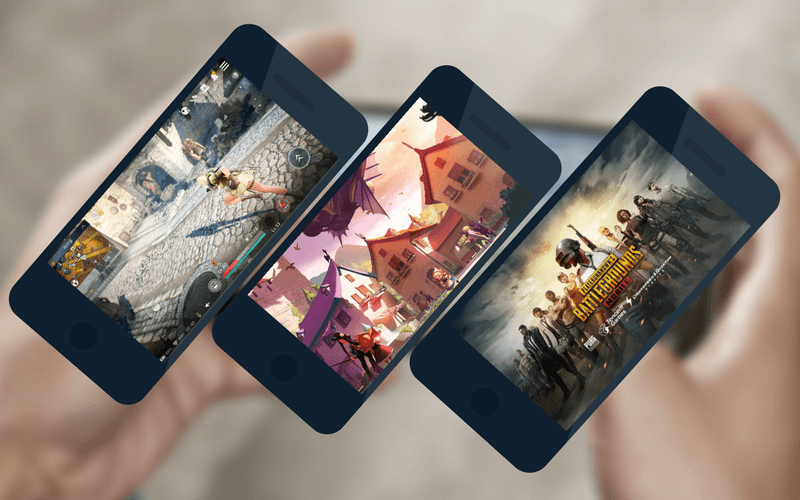 This is the mobile game genre that combines exploration and scavenging elements of a survival game with a last man standing gameplay. 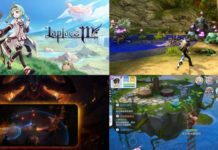 So you won’t get left behind, we’ve compiled a list of the best and most popular battle royale mobile games currently in the market. What are you waiting for? Dive right in! 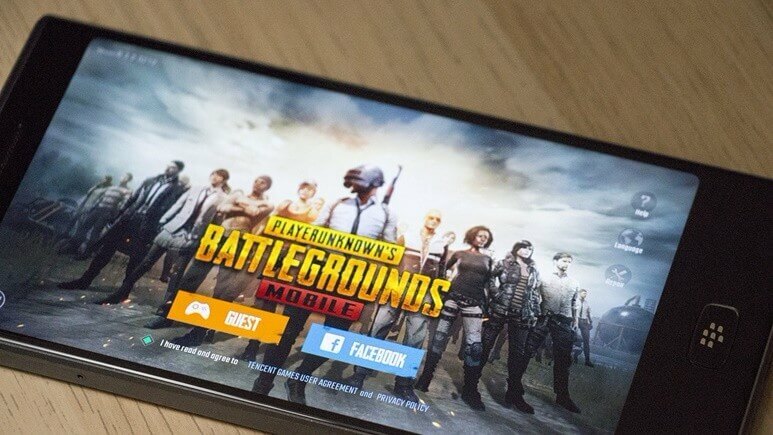 PUBG Mobile: Battlefield (developed by Lightspeed and Quantum Studio), and Army Attack (produced by Timi Studio) are the official mobile versions of the mega-popular PlayerUnknown’s Battlegrounds. 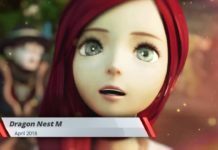 Lightspeed is the global release version, while Timi is only available as of now in China. Both, however, are perfect translations of the PC version, with the same addictive playing experience to you. They both use the new Unreal Engine 4, which gives them next-gen audio-visual quality just like PC version. The same 8km x 8km original map is still available where you can fire at will at 99 other players, with an amazing shooting experience tailored for mobile that will definitely give you an exhilarating gaming experience like no other. 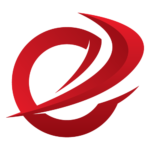 A battle royale mobile game developed by NetEase Games. This one is set on a vast and deserted arena that can simultaneously accommodate up to 120 gamers. Dropped onto a huge deserted island, players must use resources at abandoned sites to arm themselves and hunt other players. Players can snipe from a hilltop perch over a kilometer away, crawl in the grass and stage an ambush, or use the map to roam the battlefield as a ghost. 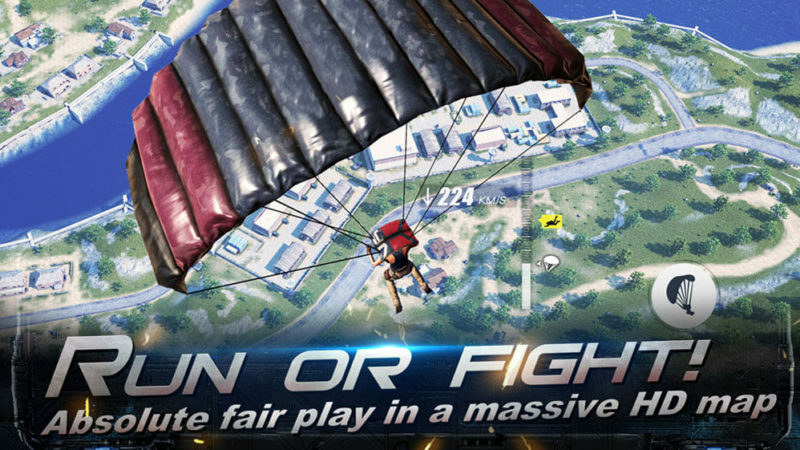 Rules of Survival supports single-player mode and teams of up to 4 players. The international version that just hit the shelves has introduced a variety of new improvements, such as a new AKM weapon and many others. 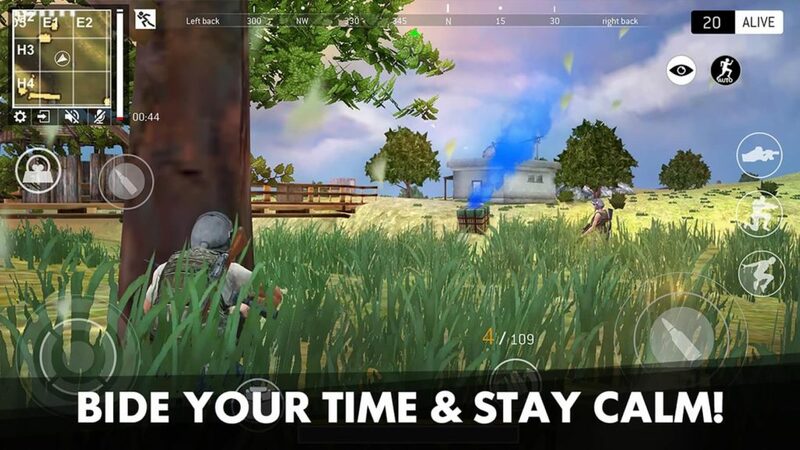 An in-your-pocket Hunger Games, Rules of Survival is a life and death struggle at your fingertips. One of the most popular games at the moment, Fortnite is a battle royale game developed and published by Epic Games. And while it was just previously available on consoles, PCs, and Macs, it has recently been made available on mobile. 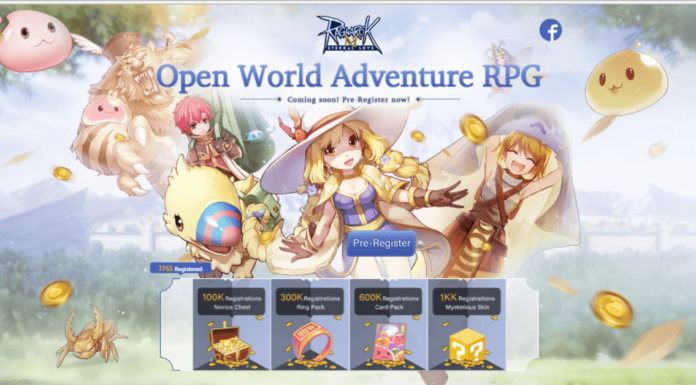 It features the same familiar gameplay, which accommodates up to 100 players at a time. Fans of the game will be happy to know that the mobile version still allows you to shape the battlefield and build your own cover, gather resources and gears, and squad up to defeat more enemies. New game modes are also regularly added, as well as new customization options for your avatar and, of course, newer and flashier weapons. Grand Battle Royale, developed by GameSpire Ltd., features pixel graphics and blocky characters. Players roam a radioactive island, and as with other games in this genre, the objective is for players to survive the battlegrounds, improve their shooting skills, and develop new PVP tactics. Players are spread around the island unarmed and must find various weapons and items to eliminate opponents. Weapons include an assault rifle, pixel gun, smg, shotguns, and others. 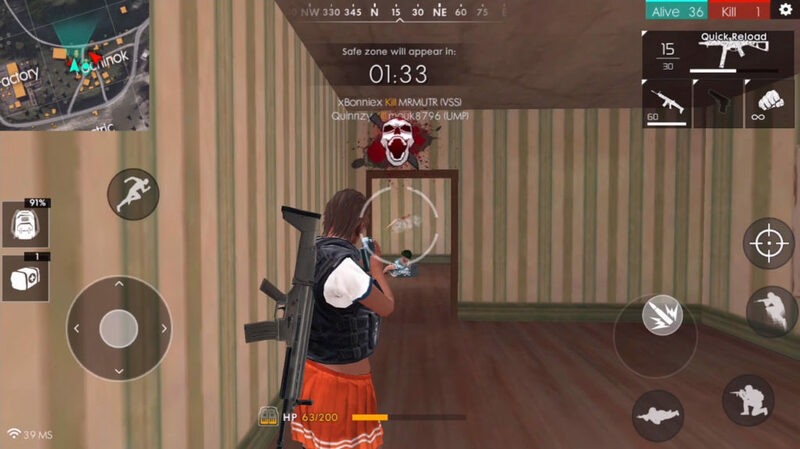 Bullet Strike: Battlegrounds is a last-man-standing shooting game wherein you have to do everything possible and impossible to stay alive and survive. The game features a real-time multiplayer mode with up to 20 players. 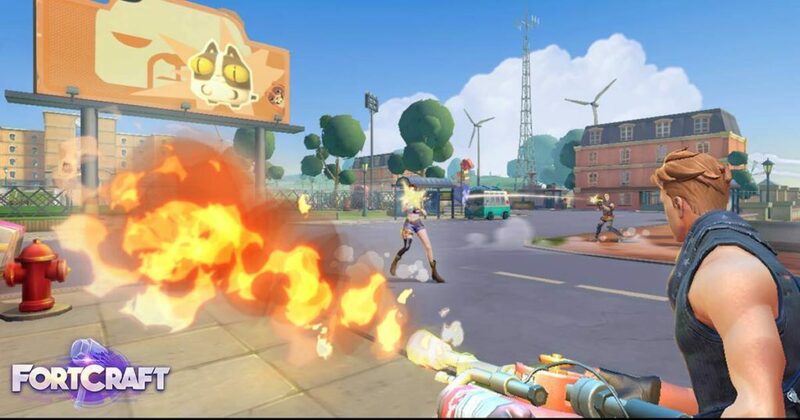 It’s claim to fame is realistic fight mechanics, an array of life-like weapons such as knife, pistol, rifle, and grenade, and ability for customization of both male and female characters. The Battlegrounds game mode will put all players on a remote island for a winner-takes-all showdown where strategic gameplay is as important as shooting skills. Players enter a last-man-standing battle where they try to locate weapons and supplies in a tactically rich battleground that eventually forces players into a shrinking play zone and spectacular fight to the death. 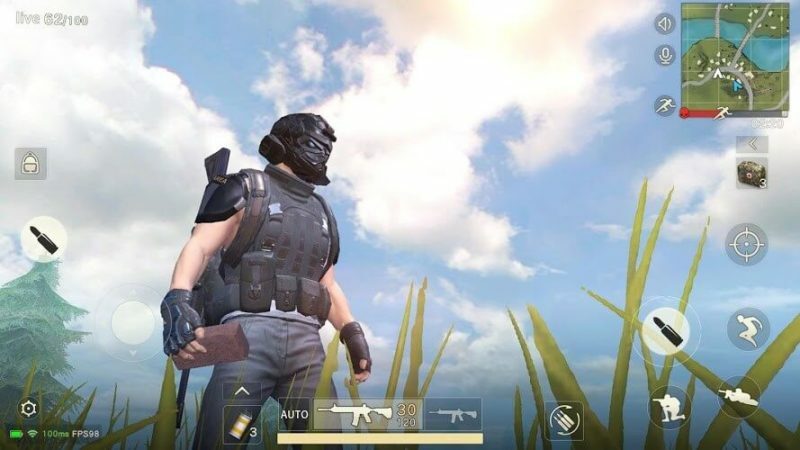 Another battle royale mobile game from NetEase Games, Knives Out puts up to 100 players into an ever-tightening arena. It features a geographically rich environment, with snow-capped mountains, train tunnels, and other unique locations. And contrary to its name, Knives Out features an assortment of weapons available to players in Duo, Squad, or Fireteam modes. You can also coordinate attacks through the integrated voice chat feature. 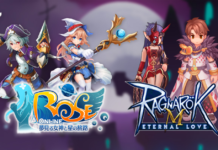 This battle royale mobile game was developed by NetEase Games. It can accommodate up to 100 players that are spread across a large map. Over the course of 20 minutes, the playable area contracts and shrinks, forcing survivors into a fight to the death, until just one remains standing. The fight is ultra-realistic with extra large maps, sophisticated geography, and diverse buildings. 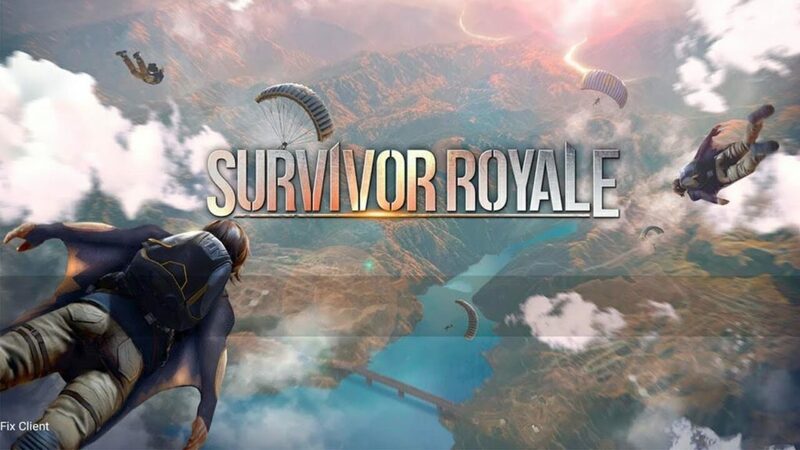 Both solo and cooperative 2-player or 4-player modes are available in Survivor Royale. A wealth of weapons, attachments, and vehicles are also available to players. Last Battleground: Survival is a survival shooter game developed by Elex. Each match takes 40 players and puts them on a deserted island. At the start of the game, all players parachute onto the island completely empty-handed. Each one, then, must find their weapon of choice on the island to eliminate enemies. As time goes on, the island’s “safe zone” gets smaller and smaller, and certain areas will also be bombarded. Players and teams will be ranked for the match in the order they are eliminated. The safe zone changes randomly in each match, providing players with a fresher, more intense experience each time. 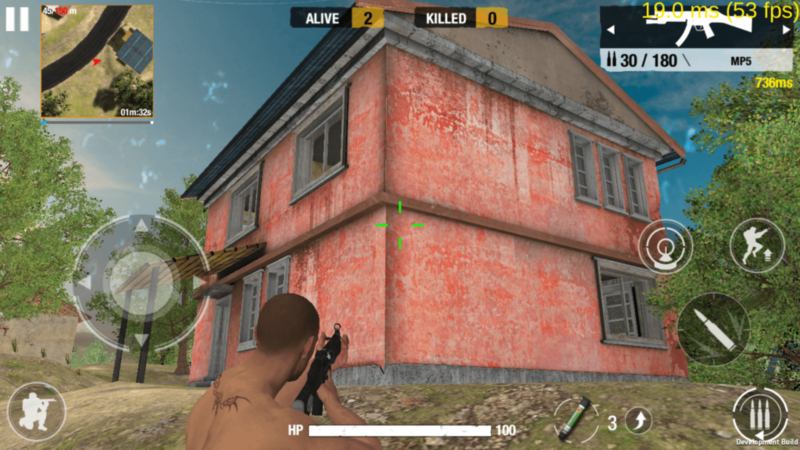 Free Fire – Battlegrounds is the ultimate survival shooter game published by Garena International Private Ltd. Each 10-minute game places you on a remote island where you are pit against 50 other players, all seeking survival. Players can choose their starting point with their parachute, and aim to stay in the safe zone for as long as possible. You can drive vehicles to explore the vast map, hide in trenches, or become invisible by ducking under grass. You can form squads of up to 4 players for tactical battles. 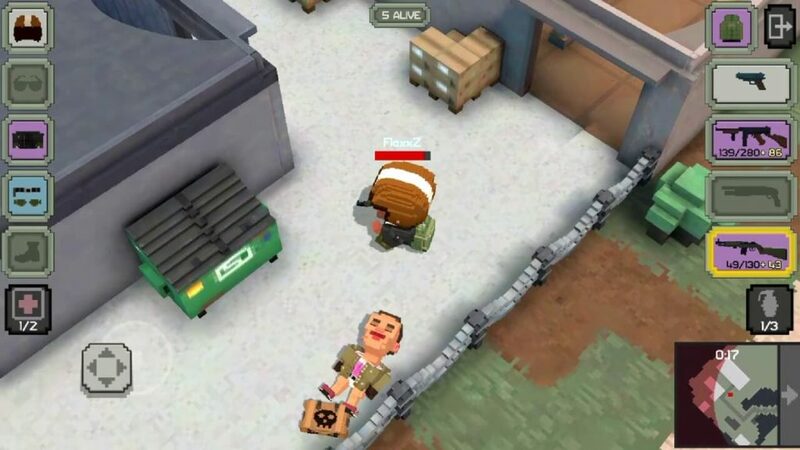 It has easy to use controls and smooth graphics for one of the best survival game experience you will find on mobile. 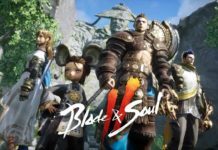 Black Survival is a Real-Time Survival Game published by ARCHBEARS. Like others on the list, players are put on an island and left to battle it out until the end. The game features an easy, single-touch action button, which makes it intuitive for fast-paced action. 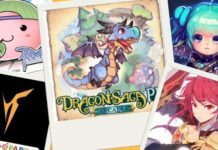 There are also over 35 kinds of different characters to choose from, and hundreds of different items are hidden over the island that can be used to craft over 600 types of weapons, tools, and food. 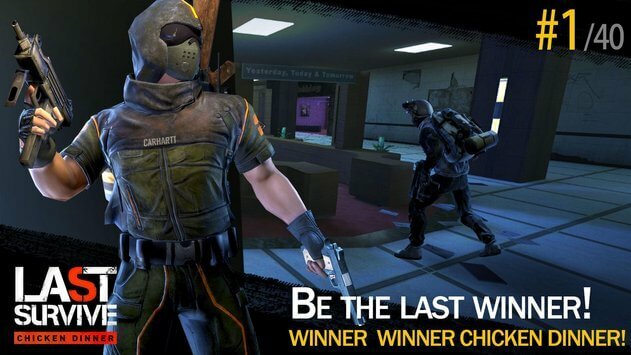 Last Survive – Chicken Dinner is an action-packed game set in a downtown city building where players must use strategy and tactic to locate weapons and resources to kill enemies. Players can use first-person view in this massively multiplayer PVP action game. The game has a realistic, rich, and robust battleground, with elements that can be used by players such as elevators and stairs that lead to different floors. Guns Royale is an open arena game published by Wizard Games Inc. 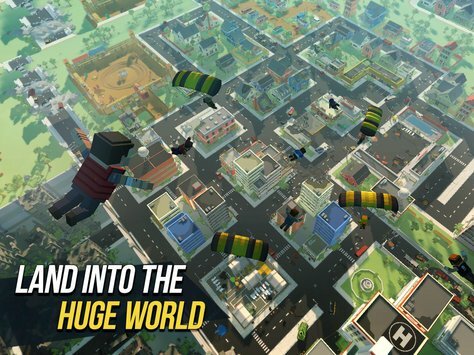 While other games emphasize strategy and tactical attacks as key ingredients, Guns Royale stays true to its name by being a super fun-filled, gun-blazing mayhem. Players must race to find the best available weapon (hint: it’s always the bigger gun) and upgrade them as soon as possible. Players earn Experience Points in PVP battles every time they have a kill and rise to the top of the blocky battlefield. Fortcraft is the latest mobile survival game developed by NetEase Games. In FortCraft, players are given the freedom to craft and build structures in the game world to help them survive. In order to build structures, players must scavenge for resources and destroy items to gain materials to build enemy fire defense. Players can access a wide array of weaponry to utilize, from assault rifles to RPGs. Players can also form groups in team mode and play with friends across the world in dedicated servers on mobile devices. 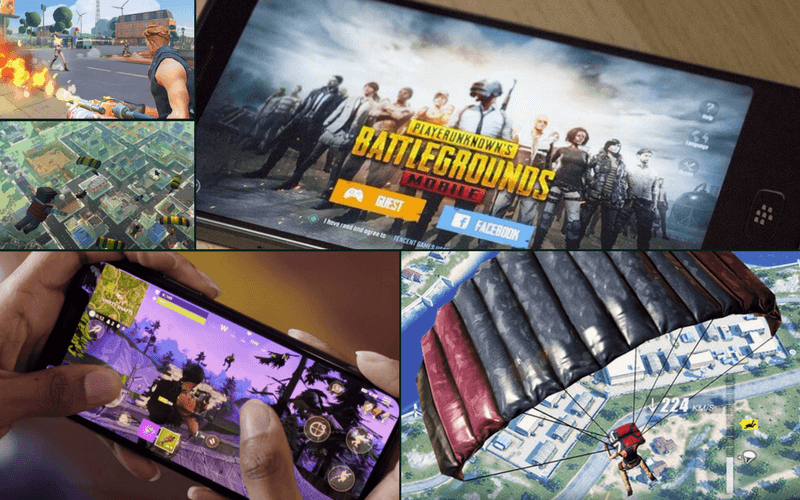 And there you have it, the most popular battle royale mobile games today that are guaranteed to give you an amazing gaming experience wherever you are! As always, we will be updating this list as more games are released. How about you? Is your favorite game in the list? Or do you think other games should have made it? Comment away below! And don’t forget to send us love by liking and following our official FB pages. Cheers mates!